November 1 is just around the corner. In the Philippines, the days leading to this day are awash with preparations. Classes stop. Colleges and universities go on semester breaks. The workforce plans for a skeleton crew because of the impending office shutdown on the week that this day falls. People book flights to travel to their hometowns. Mothers start planning the food menu. Flower shops start increasing their inventory. Candles are saturating stores and shops. Tent and chair rentals surge in demand. What's the fuss all about? Is it Christmas already? No, it is the celebration of All Saint's Day and All Soul's Day in the Philippines. And it is one hell (pardon the pun) or heaven of an event. 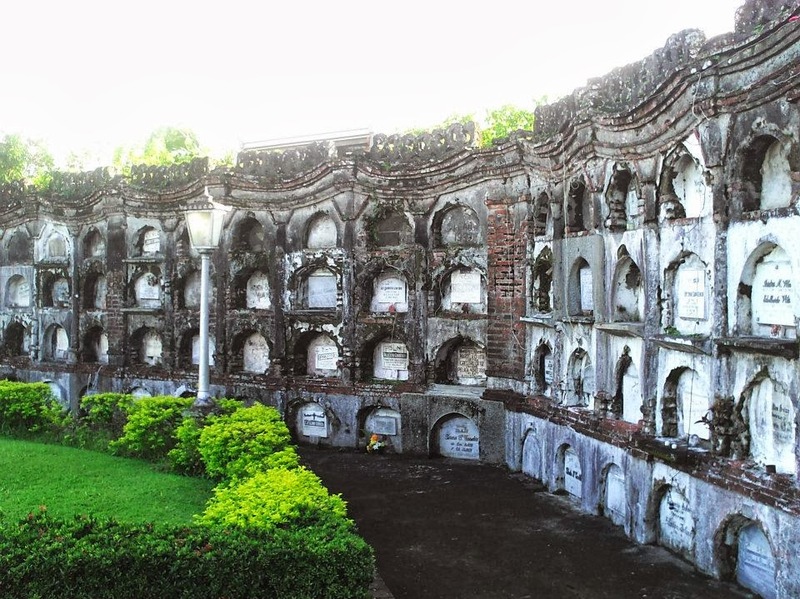 Undas, or Todos Los Santos, or Araw ng mga Patay, falls on November 1 and 2 of every year. 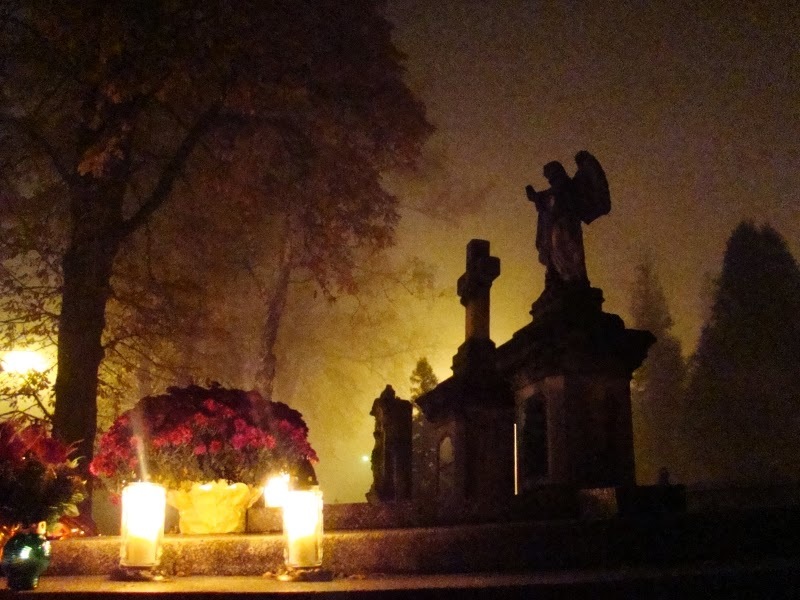 November 1 is the observance of All Saints' Day, and November 2 is All Souls' Day. The Latin Right of the Catholic Church decrees that November 1 and 2 are Holy Days of Obligation. All Saints Day pays honor to all the saints and martyrs that had lived and died for Christ and are now getting their rewards in Heaven. It is believed by Filipino Catholics that the saints and martyrs, having entered into God's grace by their actions here on earth, are granted powers to intercede in behalf of the living. Our prayers and petitions to God will be easily heard and have a higher chance of being granted when we ask the saints to pray to God for us. All Souls' Day, which falls on November 2, is in remembrance of our loved ones who had already died. Unlike the saints and martyrs that are now basking in the presence of God in Heaven, our departed may still be in purgatory awaiting God's mercy. The living need to pray unceasingly for these penitent souls for them to obtain, too, the grace of God and Heaven. And it helps a lot if the saints' intercessions are invoked for the penitent souls in purgatory. All Saints' Day and All Souls' Day remind the living that there are two things that can either happen to us when we die. We either go to Heaven like the saints, or to purgatory like the penitent souls. The observance of these days give hope that as long as we are living, we have the power to act appropriately here on earth and obtain the reward of where we go when we die. During the said days, we go to Church to hear Mass, visit the graves of our departed loved ones, light candles, offer prayers and flowers. This is also a chance for Filipino families to get together and hold reunions. Filipinos may move to different parts of the Philippines to either work, study, or take up residence, but we always find time to come back to our hometowns for Undas. We Filipinos look forward to the mini-vacation that is also a national holiday. Days before Todos Los Santos, airports, bus and ferry stations are packed with travelers going home to their provinces. Road traffic increases by the end of October due to the exodus of people. At graveyards or cemeteries, people begin the work of cleaning tombs and graves. They pull at the yearly growth of weeds around the graves, wash the concrete slabs with soap and water, apply a fresh coat of white paint at the tombs, and patiently remove the dirt from tombstones to make the writing visible. The local government begins putting up lights in the cemetery. They plan the pathways, security, and first aid stations in the mini-streets of the cemetery in anticipation of visitor traffic. At the actual days, Filipinos hear mass together as a family, either in Church or in the cemetery itself when Mass is offered. We place flowers and candles on the graves of departed loved ones. Some of us bring chairs and put up tents, and even bring food and drinks, with full intention of a lengthy stay up until night. There are a lot of things to do at the cemetery. Immediately upon arrival, we pray fervently in front of the tomb. We love to talk to our loved ones, through the tombstone, with utmost sincerity and often with a break in our voices as if the departed can really hear across the distance of death that separates us. We talk about missing the departed. Then we talk about the news and goings-on in our lives, even assuring the departed that we are doing fine. Then we sit down to hours of chatting with family and friends who drop by the tomb. Seldom-seen relatives are welcome faces and we love to spend time catching up with them. Later when there is a lull in visitors, we leave our loved one's tomb and take a stroll through the streets of the grave yard, stopping by now and then to greet people we know who are keeping vigil in their relative's tombs too. More catching up and chatting. The stroll is really a leisurely walk with many pleasant stops and starts. When we get to the tombs of more of our relatives, we light candles and offer prayers, chat some more with cousins and uncles, and amble along. We tend to the candles and the flowers as the day goes by. Children love rolling up the hot melting wax around the candles into balls, watching them getting bigger and bigger, while adults constantly caution them to be careful to not get burned. At home, we partake of food mostly made of rice or malagkit. Arroz ala Valenciana, palitaw, sinukmani, suman, sapin-sapin and more. But not before taking the best parts of the food, putting them in a small plate, and placing the plate in front of our altars, to offer to our departed loved ones. All in all, the celebration of All Saints' Day and All Souls' Day in the Philippines are deeply-tinged with spirituality, but it also have a festive feel to it. It is the Filipinos' way of dealing with death -- to hope for a better place when we die, and to celebrate life with family and friends while we still live.